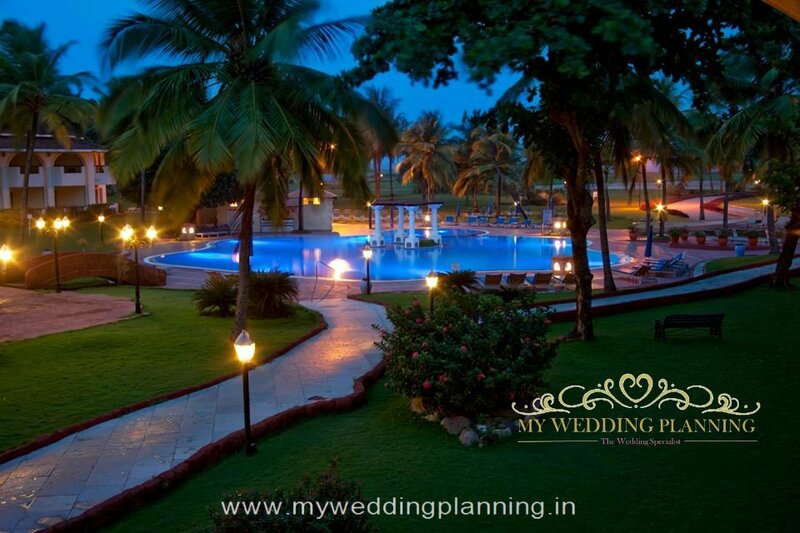 In the tropical wonderland of Goa, destination weddings are always dreamy; but for an ultimate destination wedding experience in Goa -head to Holiday Inn! 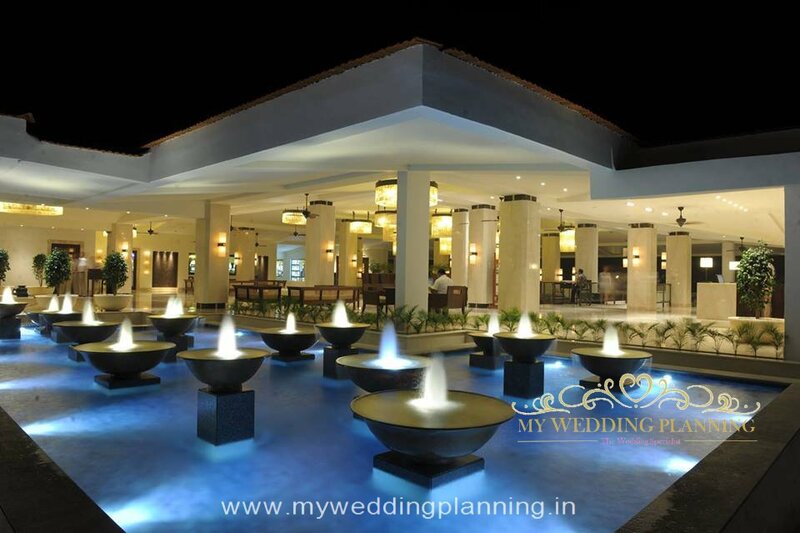 With its classy interiors and lush outdoors, the resort is perfect for a posh bride’s fantasy wedding celebration. 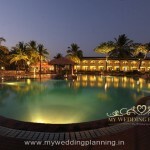 A true oasis in the middle of southern Goa, Holiday Inn at Cavelossim is sure to trump your expectations! 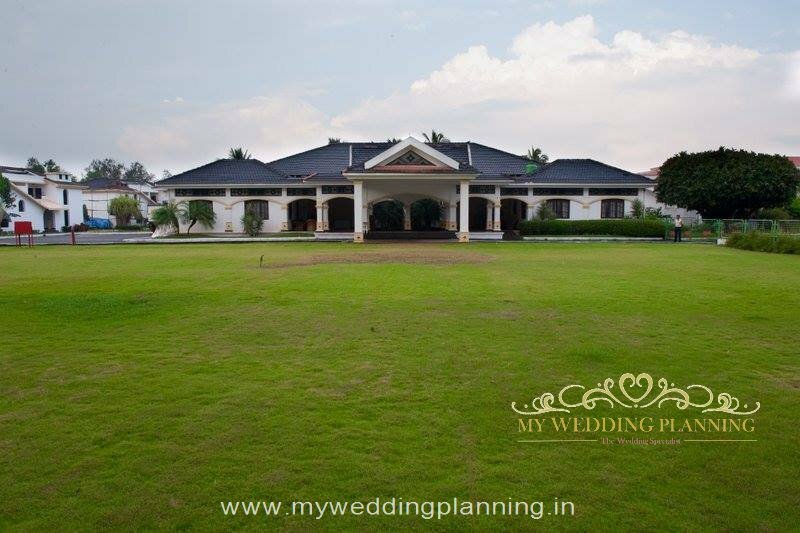 This truly exceptional 203 room resort located 17 kms away from Margao Railway Station and 45kms from Dabolim International Airport is a unique blend that combines luxury with nearly unprecedented personal service as the staff makes you feel comfortable and taken care of from the moment you set foot in the resort. Holiday Inn Goa welcomes you with a beautiful grand lobby with majestic Italian-style ceiling lights and a courtyard surrounded by gardens. Your guests will be bowled over by the views of the pristine white sand beach, surrounding gardens and lush lawns lined by coconut palms. 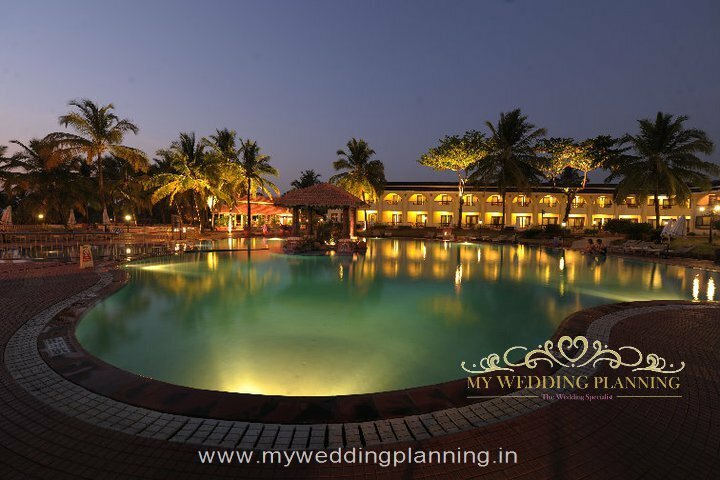 Interesting Goan-Portguese architecture reminiscent of Goa in bygone days, combined with spectacular beach views and abundant natural beauty makes this truly exceptional resort a fabulously luxurious setting for a lavish sea-front destination wedding. 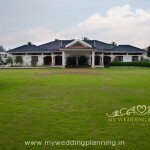 BALLROOM Have your dream wedding tailored to your requirements at the Ballroom. 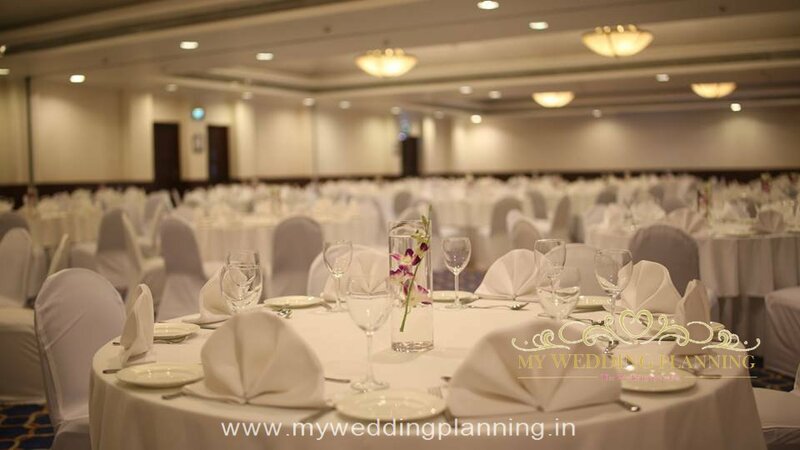 It is modern and completely pillarless with high ceilings and can accommodate 750 people in theatre style and 250 in Banquet style. 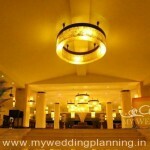 EVENT ROOM The event room is a small 465 square feet hall that can be used for a pre function like chooda, mehendi or rose ceremony. 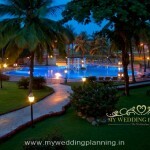 BEACH FACING LAWN The beach front lush lawn can accommodate 600-700 guests and is perfect for a daytime wedding where the sea is a perfect backdrop for your beautiful mandap. 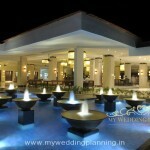 Else you can choose to have a night time illuminated soiree by the sea. LAWN A smaller lawn than the beach lawn, it can accommodate 500 people in style! BALLROOM-pre function 5451 sq feet A patio outside the ball room perfection area for a pre cocktail session before the gates open for a gala event. 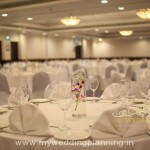 Guests rave about the extravagant spread and delectable food at Holiday Inn. Right from a sumptuous breakfast that includes full English morning meal, cereals, omelette and other egg options, cakes and croissants, Indian breakfast choices, fruit and more to an equally lavish spread for Lunch and Dinner. The Lunch and Dinner menu have plenty of options for vegetarians. The rooms are well-appointed and lavish offering either garden or pool views, with select rooms featuring sea views. A flat-screen TV, minibar and tea/coffee-making facilities are provided. Don’t forgot to get a photo session done at the quiet and calm white sand Mobor beach before you head out to party at one of the hotel’s lovely venue.